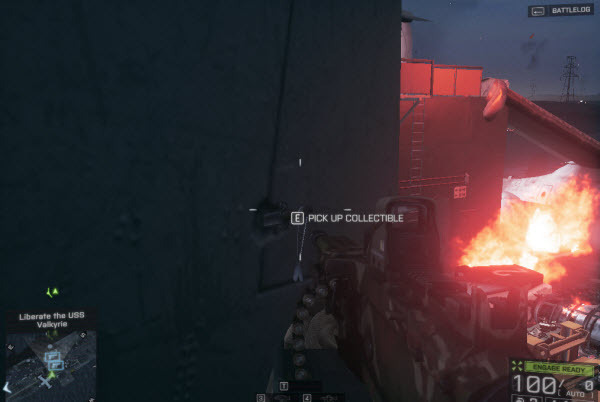 This walk-through will show you the locations of all collectible items in Suez, the final mission. With Tashgar completed, you are ready for the final mission. There are 3 collectible items: 2 dog tags and 1 weapon. Use the collectibles section in the Pause menu to see how many items you have collected. When you enter the deck, kill all the enemies, then go up the second floor. 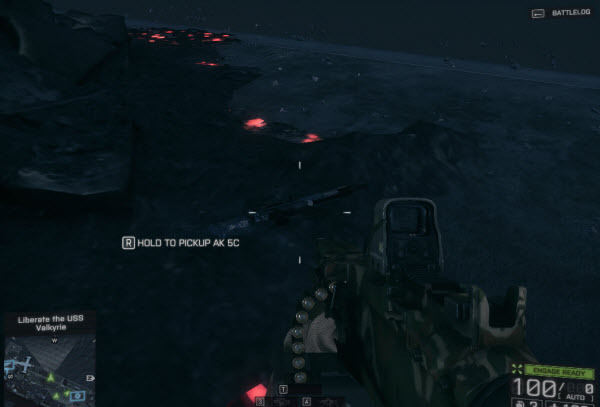 The first dog tag in this mission is pinned at the tail wing of the wrecked plane. Kill all the enemies on the second floor then go down the small path. 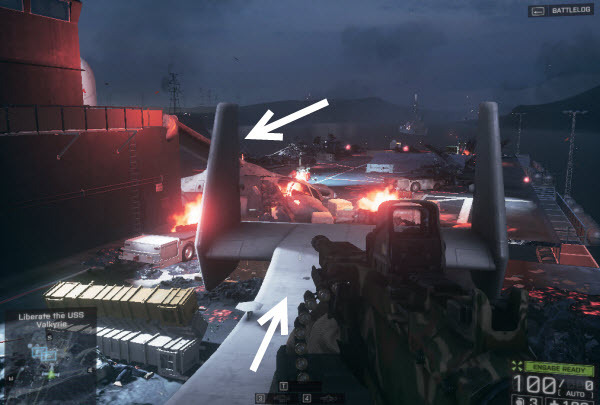 Jump from the path to the propeller then head to the wing tail to get the dog tag. 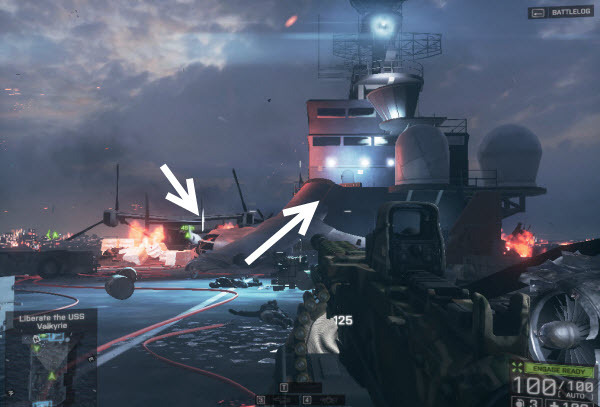 This weapon is very close to the airplane wreck, you can see it right on the plane. 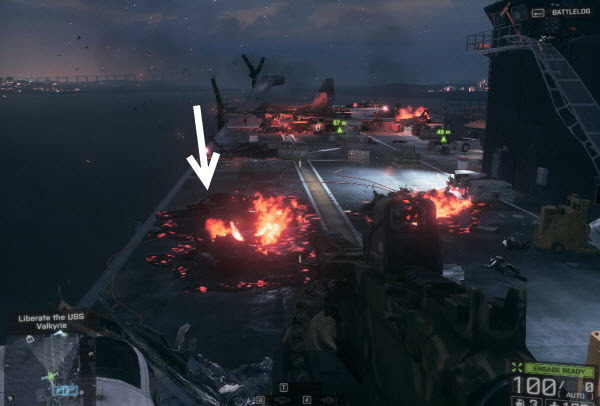 One you get the first dog tag, jump off the plane and head to the burning wreck. Avoid the fire, go around the wreck to find the gun. 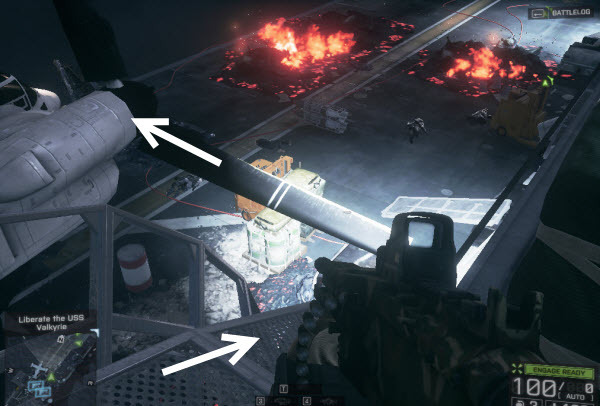 The AK 5C can be picked up there. 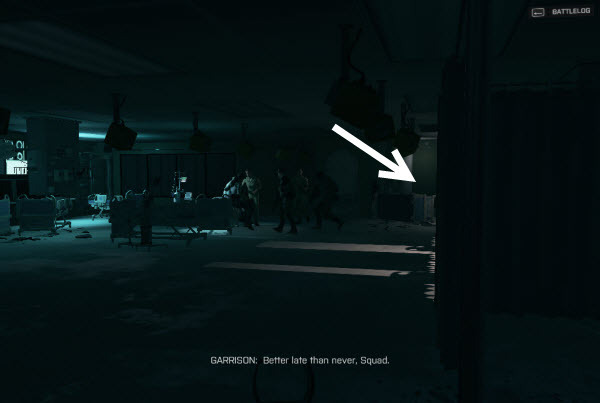 After you clear all the enemy waves on the deck, the team will head down to find Garrison. You will eventually meet Pac on the ship. He did not die at the end of mission 5. The team will then continue the search for Garrison. 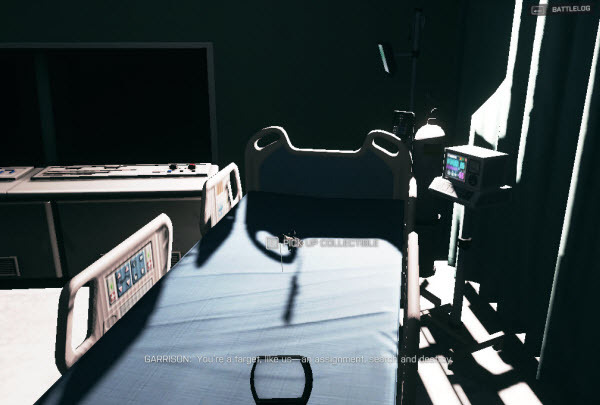 You meet him in the medical room. Once you enter the room, go to the second cubicle and collect the last dog tag on the bed. That is the last collectible item in the game. Collected items will be carried to all level of hardness. Collected ones will not appear on the map again. If you have not collected any items, replay the levels. Our guides will help you find them all. 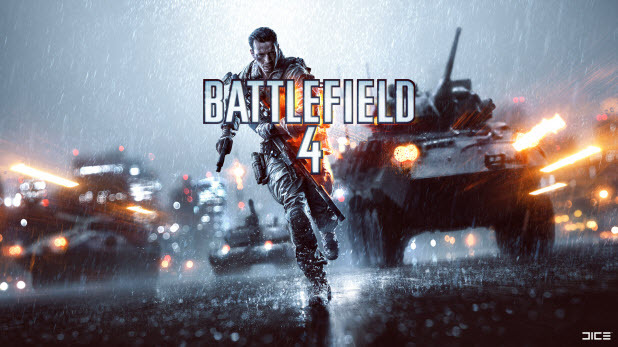 To start over, you may need to delete your save profile in the Document/BattleField 4/Settings folder.